A loan of $10,000 helped me get new equipment to offer customize frames. I immigrated to the US at the age of 3 and have lived in Portland, OR ever since. I love it here and don't plan to move away. Portland is a city full of creative people and I'm glad to be a small part of it. I've worn glasses since I was 5, so they've always been an important part of my life. I know how they can effect your life, so I'm very passionate about making sure my customers get the best fitting frame. I want a place where people can visit, have fun, and leave with a new experience. It helps a repeat borrower purchase the equipment he needs to expand his business. 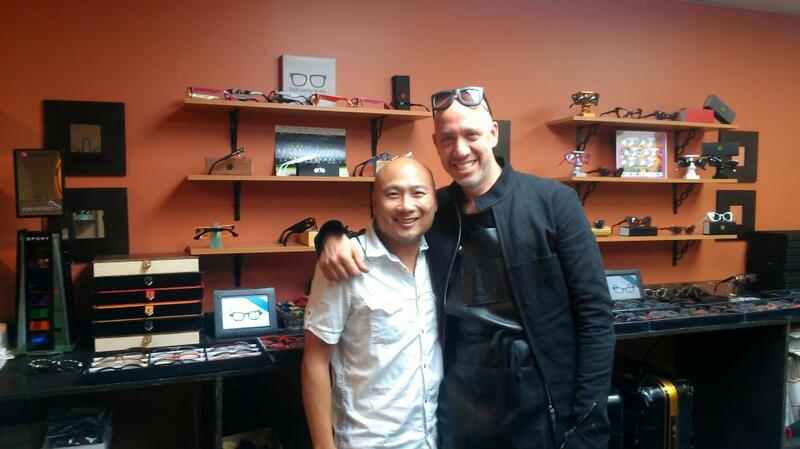 I started EDA 4 years ago as a wholesale optical manufacture for custom frames. Now I want to offer this same service to the general public by opening a retail store. But I need the specialize equipment to make it locally. I would like to perfect the system and open the same concept to all the major cities around the world. I will be the only employee with help from my wife and kids. But I'd like to eventually hire talented employees to assist me. The loan amount will be used to purchase laser engraver, 3D scanner, lens edger, polishing wheel, and various hand tools. This will allow me to customize optical frames and sunglasses locally. This will be a first of it's kind retail experience for the consumers. This has been a goal when I started the company 4 years ago. I want to thank-you for your contribution to make my dream a reality.